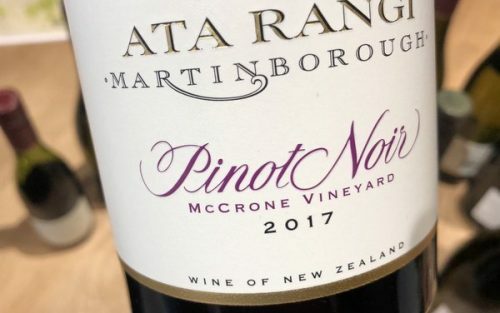 Martinborough pioneer Ata Rangi is one of New Zealand’s most celebrated wineries, and so I was quite excited to be able to catch up with winemaker Helen Masters to taste through recent releases. Helen had just got back from the UK the day before, so it was very cool that she rocked up to conduct the tasting. It was a good one, too, with a nice energy, and the wines showed really well. Helen has been here for 15 years now, and she’s making some stunning wines. 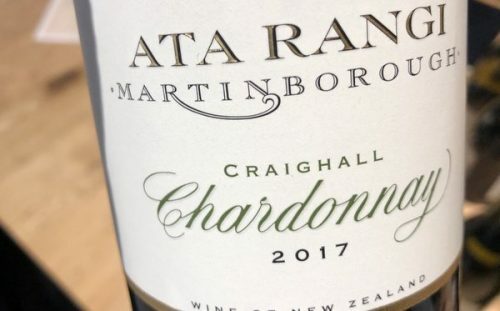 As with many of New Zealand’s wine regions, the last two vintages were a bit tricky. 2017 was very cool in Martinborogh. 2018 was warmer, so the skin were thinner. Coupled with higher humidity levels, though, there was the potential for trouble. ‘We did OK so we picked when the tannins were ripe,’ says Helen. ‘When the cyclone came through we had the majority of the Pinot through. 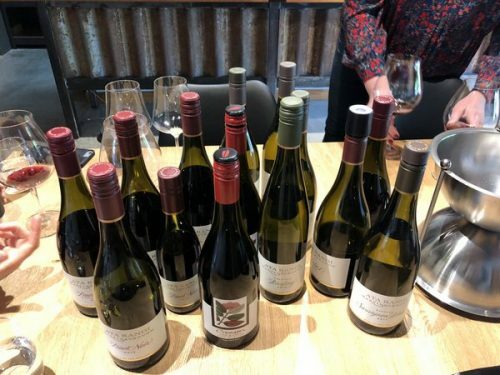 The wines are very pretty and there’s something really interesting about them, but if you stuck them next to 2013 (a classic year), you’d wonder whether they were from the same place.’ She says that the 2018 wines will be softer and more open. Since 2014 Helen has been using 10% fermented with skins (600 litre barrels with hatches, then when it finishes fermenting it is topped up and left for 2 months). In 2017 she did another 5% for whole bunch, fermented for a month, and with no sulfur added to the juice. The reason for the skin contact is that the old vine fruit has such lovely flavour, and it wasn’t coming through in the wine. So the whole bunch gives galangal (a Thai root that is used in soups), and the skins give mandarin, ginger and exotic spice. The stems give and earthy sweetness. Also, Helen says she always wants more texture in the wine. It’s hand sorted hand-picked fruit sent over a sorting table. Helen doesn’t want any botrytis in there. Whole-bunch pressed, juice from press tray to barrel, no sulfur. Tiny bit of lees stirring as primary starts to slow down. Malolactic: whatever starts spontaneously, so in cooler years aim for 100%. Don’t add sulfur until quite late. All 300 litre barrels, 25% new. Some of the ferments take a year to complete. No sulfites in the juice means that the wine feels more integrated earlier. 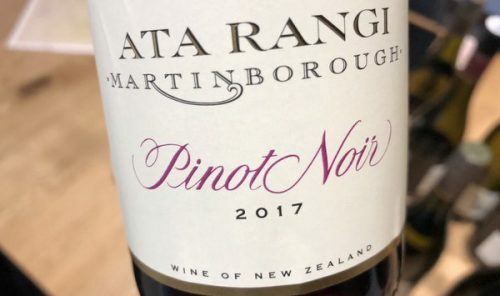 It’s all hand picked, varying levels of whole bunch (Ata Rangi tends to have 35-40% whole bunch), minimal use of sulfur (just spray the top of the ferments). The big thing is the picking date. Traditionally they have done longer macerations, then to barrel, spring malolactic, racked and not fined or filtered. The biggest factor is the picking date.